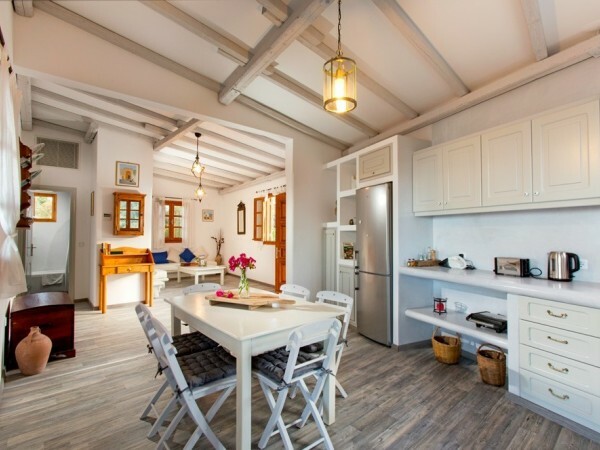 This new detached villa situated on the path to the main beach in Lindos has some of the most striking views on the island, with the village and the beautiful bay only a glance away. 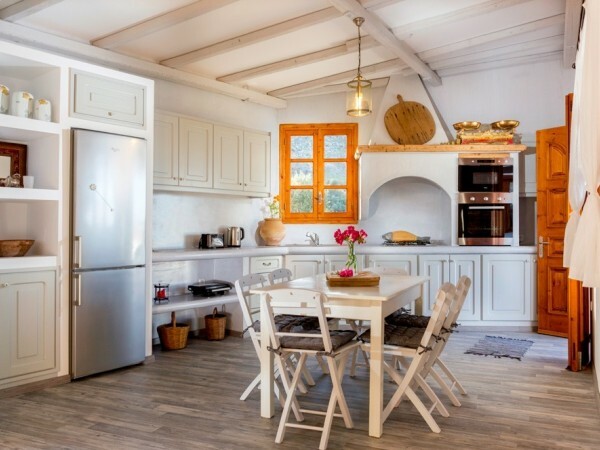 The villa has been designed and built by a local craftsman, who has incorporated traditional Lindian features and all the modern conveniences you could possibly want to make your stay perfect. 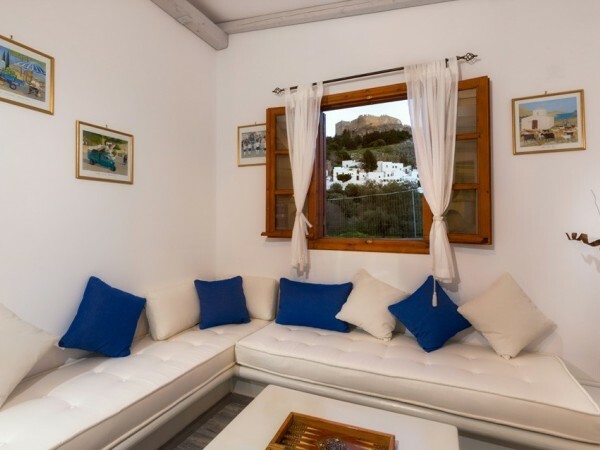 The living room has traditional handmade sofa-style seating with plenty of cushions, a large coffee table and spectacular views of Lindos and the Acropolis. The master bedroom has plenty of light and is very romantic, with a handcrafted four-poster bed and amazing views of Lindos. 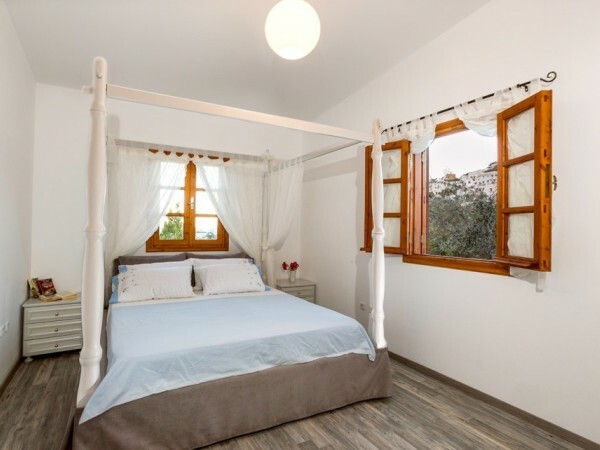 The twin bedroom is also bright and airy, with two mattresses placed on a raised platform. The kitchen is fully fitted with a dining table. 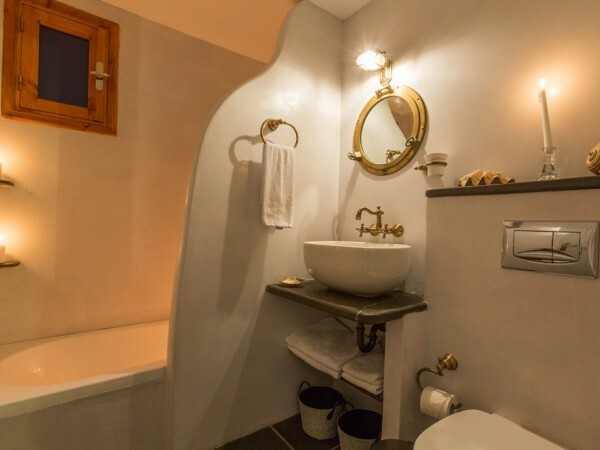 The bathroom is fully equipped with a bath and shower, modern fittings and local slate flooring. 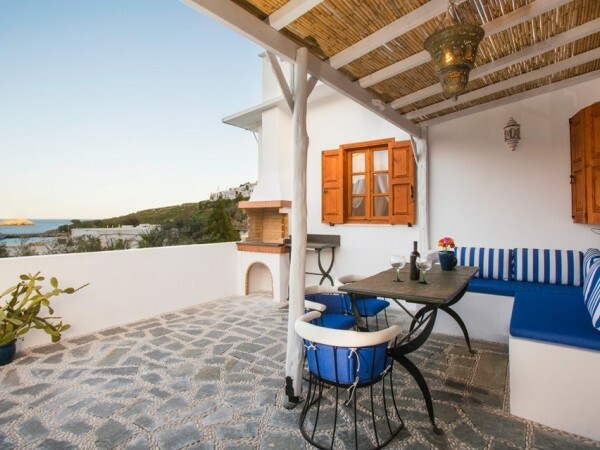 You will have a private courtyard, where you will not be overlooked, with fantastic views. There is an area with sofa-style seating, chairs and a table that is shaded during the day and perfect for sitting out at night. The villa can sleep up to six people (in the two bedrooms and in the living room).